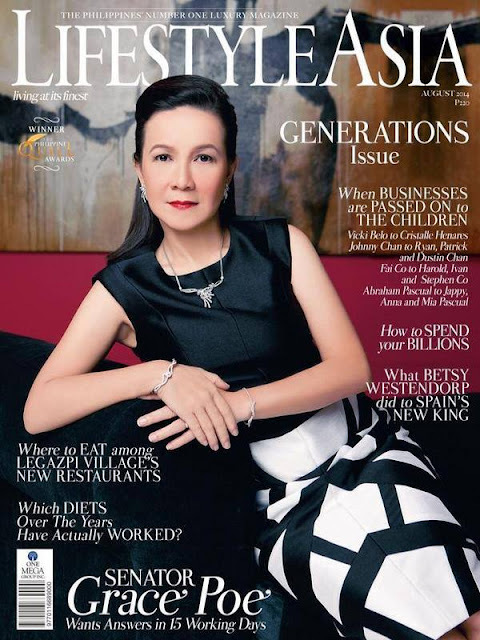 MANILA, Philippines - Banking on the stardom of her parents and the massive wave of encouragement from her supporters, Senator Grace Poe-Llamanzares has her eyes focused to take the key of Malacanan from President Benigno Aquino III. Despite of criticisms being hurled towards Poe including plans to dislodge her at the presidential race, the more Poe is being hurt by her rivals, the more stronger the support she gets from the public as seen by her current status being the leader in various political surveys. 1. Daughter of the King and Queen of Philippine Movies. Showbiz royalty. 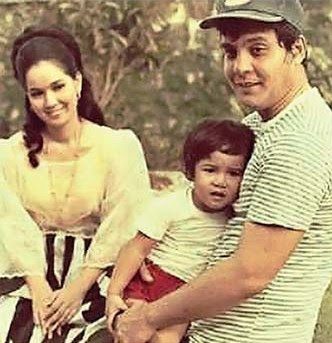 Sen. Grace Poe was adopted by veteran actors FPJ and Ms. Susan Roces. Raised by her parents, Fernando Poe Jr., a National Artist and veteran actress Susan Roces, Mary Grace Natividad Sonora Poe Llamanzares was born on September 3, 1968. It was the day where she was found at the Jaro Metropolitan Cathedral in Iloilo. Her birth date falls under the zodiac sign Virgo. Poe made history by garnering the highest number of votes in Philippine election history. Her public charisma was translated into a total 20,337,327 number of votes during her successful 2013 senatorial run with total campaign expenses of PHP 123,605,341.27 million. Senator Grace Poe in action. To chair the Committee on Public Order and Dangerous Drugs and is currently serving as the chairperson of the Committee on Public Information and Mass Media. 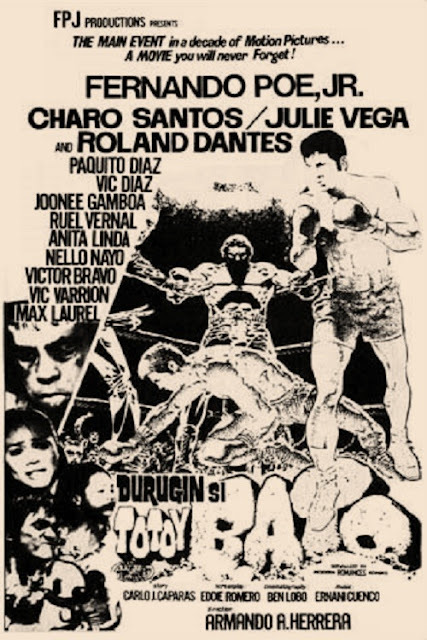 Prior to his stint as a senator, Poe was the Chairman of the Movie and Television Review and Classification Board. She is also the Vice-Chair of the Committees on Agriculture and Food as well as the Electoral Reforms and People's Participation. 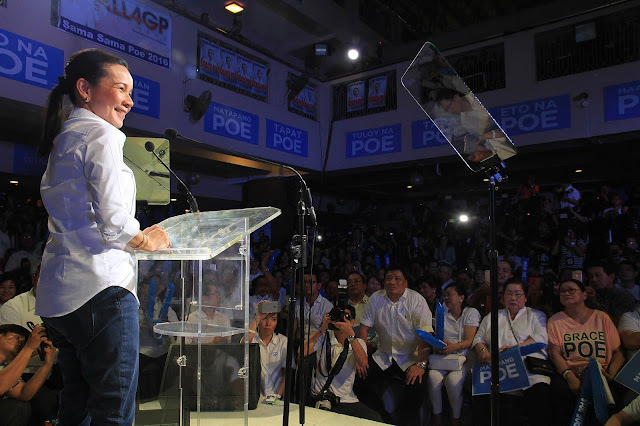 Poe during her proclamation to run for the presidency last September 2015. Comprising of 68 bills and 130 resolutions, Poe's legislative initiatives includes the amelioration of issues like social justice, child nutrition, industrial competitiveness, ecological protection, government modernization and graft and corruption. Poe (sitting at the rightmost corner) is part of the 16th Congress and is the 10th richest senator last year. Poe was the 10th richest senator as of last year (2015) with an estimated net worth of PHP 89.5 million (as of 2014) with a bulk of it stemming from various investments and assets. That doesn't include the inheritance she got from the late FPJ due to the rule that 'in case of properties received gratuitously, e.g. donation or inheritance, no acquisition cost shall be declared' in declaring her assets. 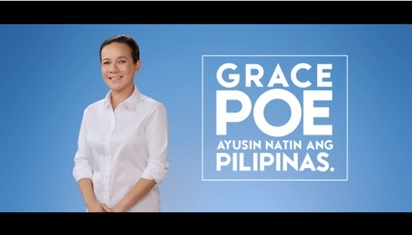 As of January 2016, Poe has already spent PHP 448,166,000 million on television ads alone for her 2016 run. 6. Lady in white of the senate. Aside banking on the popularity of her parents, Poe was able to associate the color white as her political color. She currently has 10 white polo shirts and has made it a habit to wear clothes that bears the same color. 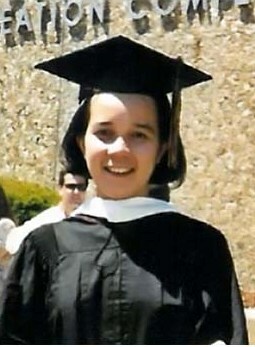 Poe graduate from Boston College with a degree in political science. 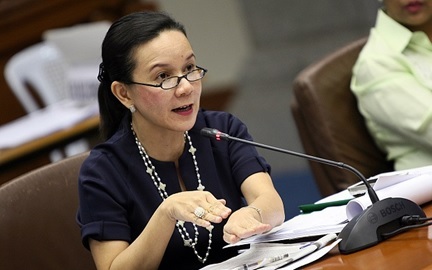 Senator Poe graduated with a degree in political science from the Boston College in Massachusetts, U.S.A. Prior to that she took BA Development Studies at the University of the Philippines (1986-1988) wherein she became a scholar for a year in the middle of her academic stint in UP. 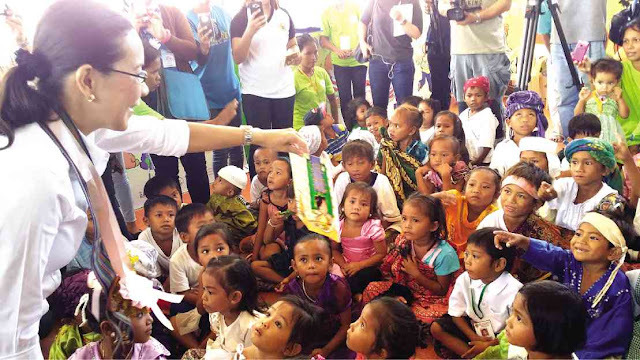 Poe (left) as seen reading a story book in front of Badjao children. Upon marrying his husband Teodoro Misael Vera Llamanzares, the senator lived a very ordinary life in the United States which is far from the glitz and glamour of Philippine show business. Poe worked as a preschool math and geography teacher and later on as a procurement liaison officer at the United States Geological Survey. High school days with BFFs. Poe was revealed having an excellent oratorical skills while in Assumption. 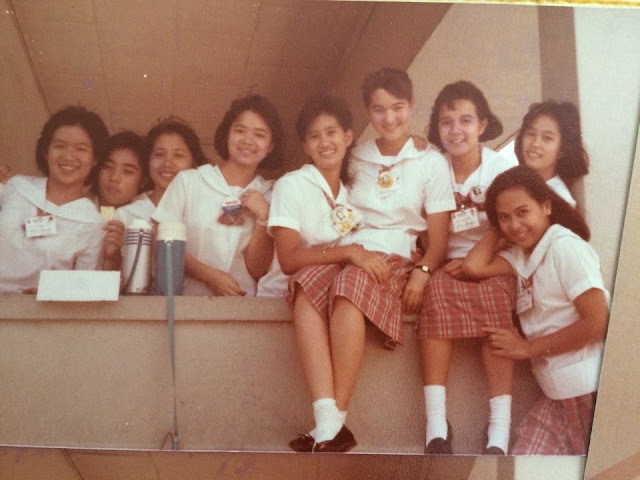 Poe completed her secondary studies at the Assumption College in Makati. During her tenure as a student in the said institution, she exuded outstanding oratorical skills enabling her to be named as Captain of the Assumption Debating Team. 10. A wide reader and a black belter in one. Senator Grace Poe graces the August 2014 cover of Lifestyle Asia magazine. Poe read all the books of David Baldacci who became her favorite author. Aside from Baldacci, Poe made it a habit to enrich herself by reading other literary works of various authors. By the way, the soft spoken senator is also inclined in sports, she in fact plays tennis and was snatching top spots in competitions as a taekwondo black belter back in high school! The Llamanzares. (Left to right) Husband Neil, Hanna, Nikka, Brian and Grace. Despite the resistance coming from her parents, Poe made a firm decision to marry his husband Neil way back in 1991. 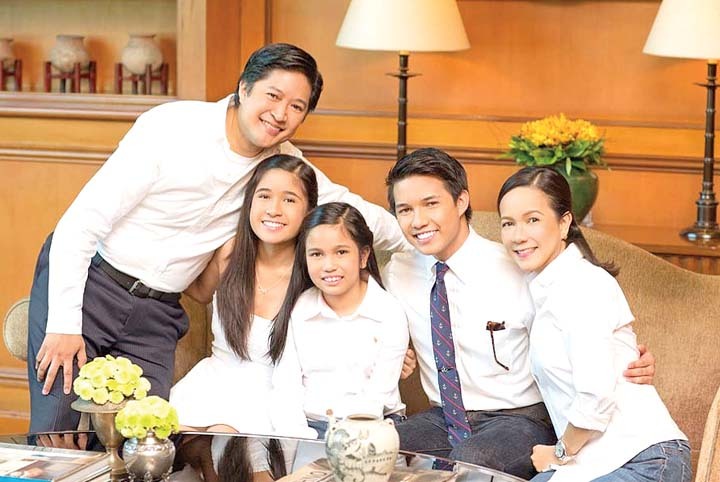 Their marriage bore three children namely Brian, a former CNN Philippines reporter, Hanna and Nikka. Braving the MRT challenge. 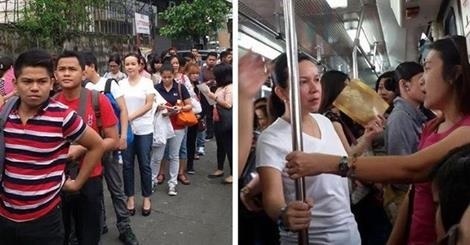 Poe is seen queuing in the line for two hours to take the MRT. When she heard the outcry of the public to improve the current catastrophic condition of the metro's rail system, Poe herself rode the MRT in incognito, to experience how it’s like for an ordinary commuter to ride it. Poe's hands-on style in doing her work as a public servant gave her an ultimate media and political mileage for the past two years, allowing her to overtake the previous frontrunners in both presidential and vice presidential surveys. Poe sisters. Sen. Grace has two half-siblings namely Lovi and Ronian. From Rowena Moran, a model and Ana Marin, an actress. Ronian Poe was Moran's offspring with FPJ while Lourdes Virginia, popularly known by her screen name Lovi, was Poe's half-sister to Marin. Poe admitted in previous interviews that she didn't grew up with her half-siblings. 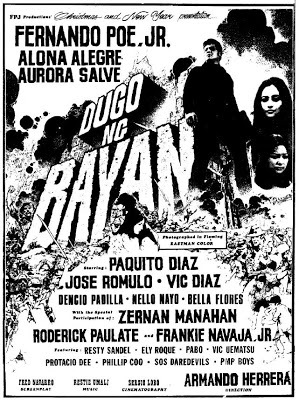 Poe was also once a child star upon gracing some films of FPJ. It was Jaime Cardinal Sin who officiated the christening of young Grace. By the parish priest who saw her in the church who believed that their unexpected discovery of her was a 'grace of God.' 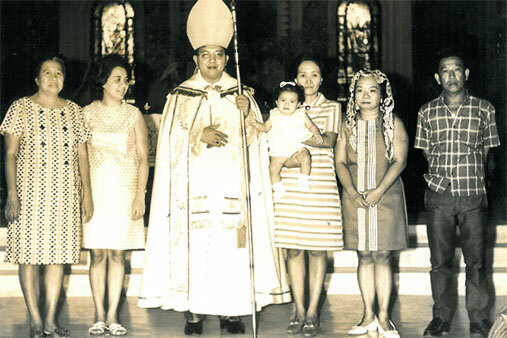 Then it was the late Jaime Cardinal Sin who christened Grace Poe while he was still the Archbishop of Jaro. 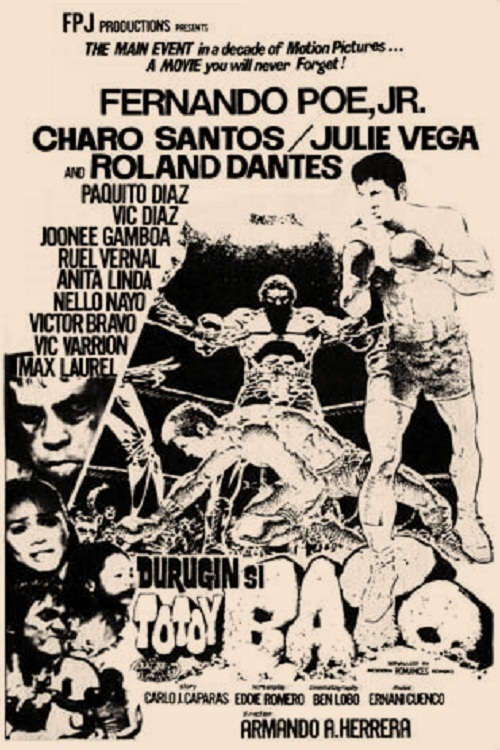 Sin has been a popular figure in the Philippine society, being a charismatic figure of the Catholic church in the country and as an influential force in ousting the Marcos dictatorship in the successful People Power revolt of 1986. 16. Film tourism and anti-electoral fraud advocate. Daddy’s girl. 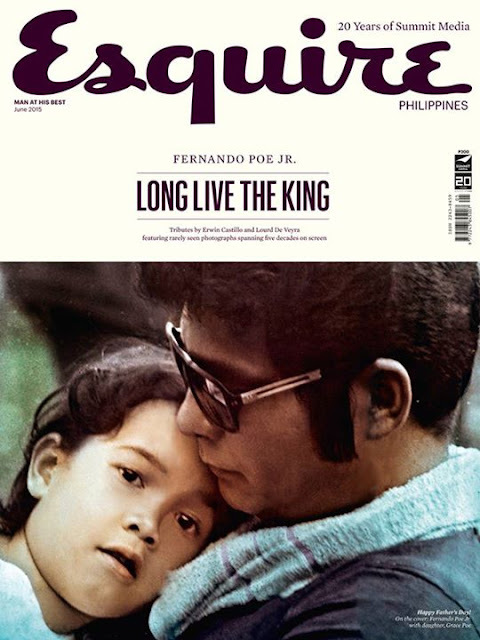 An old photo of the Poes gracing the Esquire magazine cover. With her showbiz roots, Poe has been advocating in the senate to make the Philippines as the next Film Tourism destination. Aside from that, the controversial loss of his father FPJ in the 2004 presidential elections due to allegations of tampering the election results by his closest rival, former President Gloria Macapagal-Arroyo made Poe to fight for the promotion of an honest election.